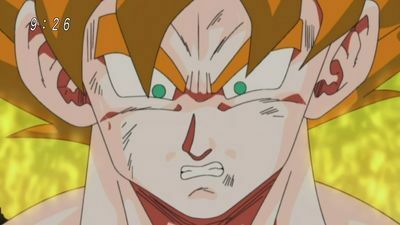 After witnessing the death of Android 16 at the hands of Cell, Gohan's anger is ignited and causes him ascend to the level of Super Saiyan 2. Cell is excited that the fight will be more interesting, but Gohan is unamused and snatches the stolen Senzu beans from Cell. Gohan then proceeds to take on all of the Cell Juniors, proving himself impervious to their attacks and effortlessly destroying them. He then throws the Senzu beans to Trunks, who distributes them to his injured comrades. 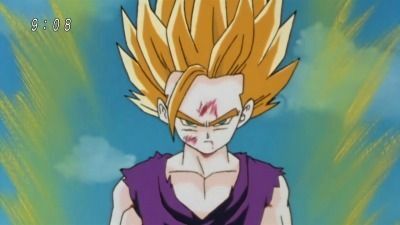 Gohan now focuses his attention on Cell, and from the onset of the battle, it is clear that Gohan holds the advantage. Gohan's reluctance reaches it's limit, and #16 asks Mr Satan to carry him over to Gohan to talk to him. #16 explains to Gohan what to fight for, and that it is okay to unleash his anger to save those that he loves. 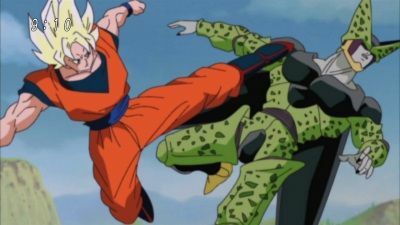 After hearing his words of encouragement, Cell takes his foot and crushes #16's head. Seeing this is ultimately the last straw for Gohan, who finally releases his rage and ascends to the Super Saiyan 2 level. 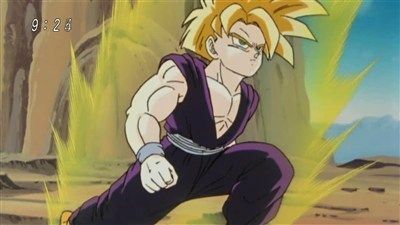 Gohan then turns his attention to the Cell Jr.s, taking them out one-by-one. With the battle going nowhere, Goku willfully conceeds. In his place he selects his son - Gohan. However Gohan does not seem too willing to participate. The battle between Goku and Cell continues, with the two fighters reaching a pace that is barely visible to most of the onlookers. Cell then decides to destroy the tournament ring, ensuring that their battle isn't ended by a ring out and can continue until one of them either dies or surrenders. 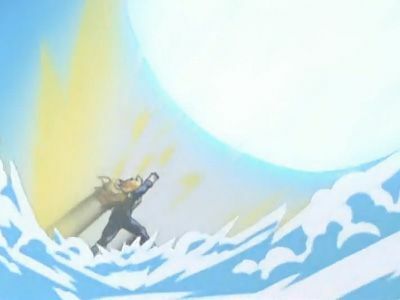 The battle becomes even more intense, culminating with Goku flying high into the sky building up a powerful Kamehameha. Cell and everyone else states that Goku is bluffing, since from his position in the sky, such an attack would easily destroy the Earth. Goku then unexpectedly uses Instant Transmission to teleport in front of Cell and executes the attack point-blank. While the rest of the world celebrates what they believe to be Cell's ultimate defeat, Goku and company watch as Cell's remaining lower half rises and regenerates his missing parts. While the ki of both fighters has depleted considerably, the battle continues on. Cell continues to charge his Kamehameha, and reveals that not only has he gathered enough energy to destroy the Earth, but he also now has the potential to destroy the entire solar system with this blast. Meanwhile, Vegeta apologises to Gohan for his recklessness. 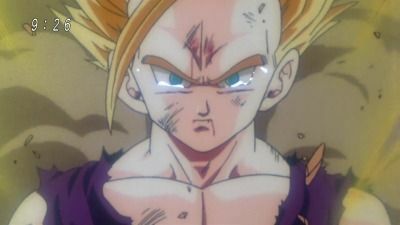 As Gohan and the others watch on in hopelessness, Goku contacts his son from the afterlife and tells him that even in his injured state he has the potential to defeat Cell. Reinvigorated, Gohan prepares a final, one-handed Kamehameha to repel Cell's blast. As the two warriors struggle to overpower each other, Piccolo, Tien, Yamcha and Krillin bombard Cell with ki blasts in a knowingly futile attempt to help, but are easily repelled. 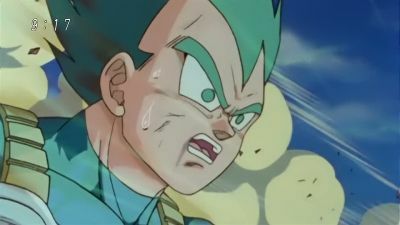 As Goku coaxes Gohan to release his full power against Cell, Vegeta returns to the battlefield and launches one final Big Bang Attack, which temporarily distracts Cell. Seeing the opportunity, Gohan finally releases his full strength and overpowers Cell's wave, obliterating Cell's body and and saving the Earth from destruction. Gohan has won and the Cell Games are finally over. 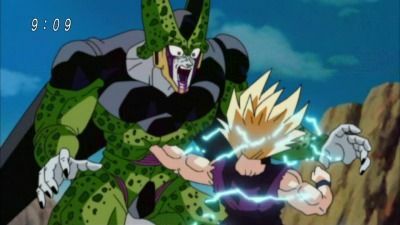 Cell finally unleashes his full power against Gohan, but even at maximum strength his attacks have no effect on the Super Saiyan 2. 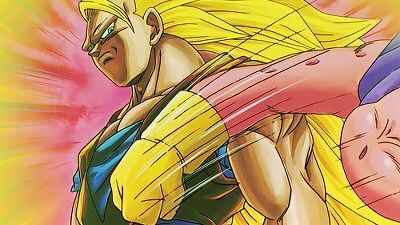 After being easily bested in battle, Cell attempts to destroy Gohan and the Earth with a giant Kamehameha, but Gohan produces an even larger wave and deflects the attack with ease. As the rest of the fighters predict an easy victory, Goku recalls that even in the Room of Spirit and Time, Gohan displayed strength far beyond that of a normal Super Saiyan. He then tells Gohan to deliver the finishing blow to Cell, but Gohan insists that Cell must suffer first. 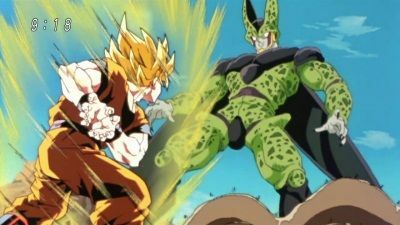 Cell then utilises his bulked-up transformation, but the increase in muscle mass lowers his speed greatly and as a result none of his attacks connect with Gohan - who counters with a single blow to the stomach, causing Cell to regurgitate Android 18 and revert back to his semi-perfect form. As the fighters assume that this means victory for Gohan, Cell's body begins to expand to a gigantic size. Powered down and out of other options, Cell actives his self destruct mechanism causing him expand to balloon like proportions. With mere seconds left, Goku see the threat and heads out to the field. Goku says goodbye to his son and teleports himself and Cell to King Kai's planet, the only safe place he could think of, and Cell explodes destroying the planet and killing everyone there. While back on Earth Gohan is left to grieve, but his sorrow is short lived. As Cell is revealed to still be alive and beyond perfect. As Vegeta is ensnared by Buu, Trunks and Goten can no longer stand by, and rush to the scene to rescue him, while Piccolo attacks the defenseless Babidi and rips him to pieces. Feeling he cannot defeat Buu with conventional means, Vegeta says his farewells to Trunks before knocking both children out, instructing Piccolo to take them far away. Once everyone is clear from the scene, Vegeta uses his last resort, overloading his Super Saiyan for and sacrificing himself in a massive self-destructive explosion in order to obliterate Buu. #9 - Awaken, Legendary Warrior... Son Goku, the Super Saiyan! The mysterious teenager easily takes out Frieza's foot soldiers, then surprises Frieza by transforming into a Super Saiyan. The evil tyrant attempts to destroy this second Super Saiyan, but has no success. Eventually, the teenager slices Frieza into pieces with his sword, before blasting him away. King Cold tries to defeat the Super Saiyan himself, but is also easily destroyed. After reverting to his normal state, the teenager spots the Z Fighters and claims that Goku will be arriving nearby soon. He then invites them to join him in awaiting Goku's arrival. #11 - Delay Majin Buu, The Limit! Super Saiyan 3!! 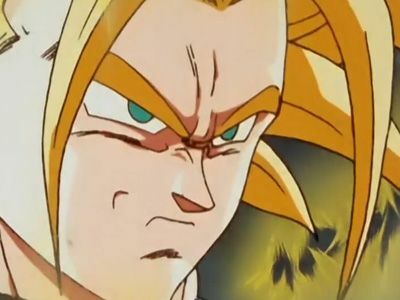 Realizing that Majin Buu is headed for Capsule Corp., Trunks breaks off from his Fusion training, and heads home to retrieve the Dragon Radar. To buy him the time he needs, Goku engages Majin Buu, and showcases a new level of power. Far away from the fighting, Mr. Satan pledges to save the people of Earth from Majin Buu. #12 - And So the Situation Takes a Turn for the Worst... Cell Attacks #18! Cell convinces Vegeta to allow him to absorb Android 18 leaving Trunks to try to stop Cell. While fighting Trunks Cell finally finds Android 18 and results in asking for Vegeta's help. Vegeta attacks Trunks so that Cell may get to Android 18, this leaves Krillin and Android 16 helplessly trying to stop Cell. Will Cell get to Android 18? Goku and Cell begin to fight and, despite putting on an impressive performance, Gohan and Vegeta both realise that neither is using his full power yet. Both fighters then raise their ki to their maximum. After a brief battle, Cell begins to attack using techniques 'inherited' from other characters--first Tien's Multi-Form technique, then Piccolo's Makankosappo, and finally Frieza's homing Destructo Disc. When Goku overcomes each of these techniques, Cell prepares a full-power Kamehameha capable of destroying the Earth. 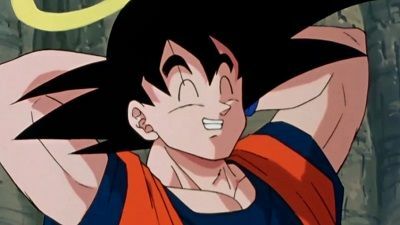 Goku diverts the attack away from the planet by taking to the sky, and then uses Instant Transmission to return to escape back to the ring. Trunks returns to the future and is reunited with Bulma. As tranquility seems to return, the androids are attacking again. Trunks saves an elderly man from being killed by Androids #17 and #18. 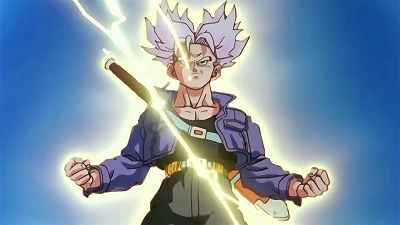 Thanks to his training in the Hyperbolic Time Chamber, Trunks easily destroys the two androids. Three years later, Trunks prepares to head back into the past to tell everyone of his victory. However, there is still one more android to stop: Cell, in his Imperfect Form. After a brief fight, Trunks launches Cell into the air and destroys him with ease as well. Peace is finally restored to the future timeline. Back in the present, Goku begins his "life" in the Other World. The Z Fighters split up to search the area for Android #20. Frustrated at his enemy's deceptiveness, Vegeta fires a large ki blast at the cliffs, planning to level the area. Seeing this opportunity, Android #20 emerges from his hiding place, only to absorb Vegeta's blast and run away before Vegeta can catch up. 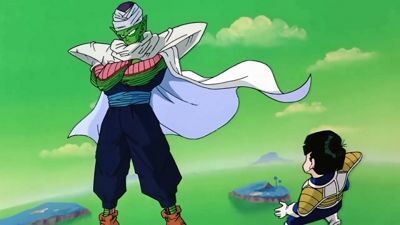 He then attacks Piccolo from behind and begins to drain his energy, although this is thwarted by Gohan, who senses Piccolo's fading ki and attacks the android. 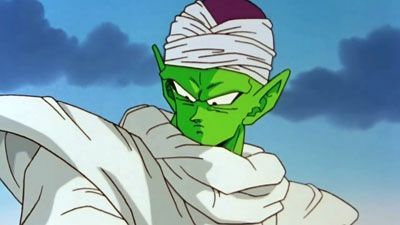 After receiving a sensu bean, Piccolo then faces off against his attacker, and proves to be more than a match for the android. 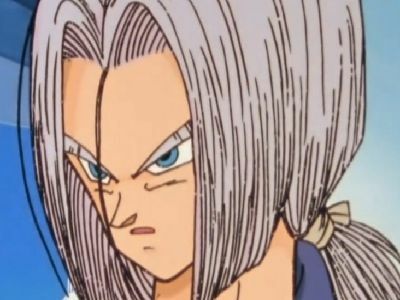 Meanwhile, Trunks finally returns from the future, and is disturbed to find that the remains of Android #19 are different from the androids that he faced in his own timeline. He then arrives at the current battlefield, and also seems not to recognise Android #20. Realising that he has no chance of victory, Android #20 decides to retreat to his laboratory, but not before launching a huge blast that engulfs most of the area - including Bulma's ship, which plummets towards the ground. #16 - Furious Battle Cry of Goku! Make it in Time... The Resurrection Wish! Shenron succeeds in resurrecting everyone killed by Frieza and his henchmen on Namek, including Vegeta and Dende, and Guru and the Namekian Dragon Balls are also brought back. Frieza seems to have defeated Goku, but Gohan returns to the battlefield to avenge his father. Frieza nearly kills Gohan, however, Goku re-emerges and orders Gohan to leave once again. Meanwhile, Guru sends Dende to Porunga and use the final wish to teleport everyone on Namek to Earth except Frieza. However, Goku requests that he remain on Namek as well, so he can finish Frieza off. Porunga fulfills this wish and teleports everyone to Earth execpt Goku and Frieza. The two combatants then prepare themselves for the final round before Namek's explosion. 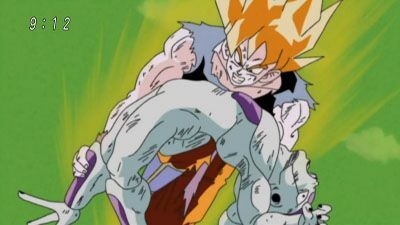 With Goku still healing from the previous battle and Piccolo still on the way to their location, Gohan takes it upon himself to hold up against the might that is Freeza's transformed self. Tien uses his Tri-Beam technique on Cell continuously, allowing Android #18 and Android #16 to escape. 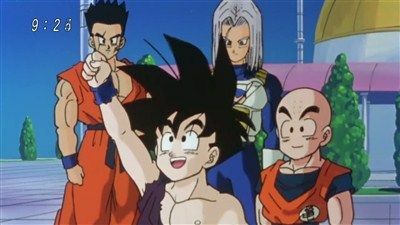 When Tien has reached his limit and unable to move, Goku appears and rescues both him and Piccolo back to Kami's temple where Vegeta and Trunks step out of the Room of Spirit and Time finishing their training. Trunks tells Goku how Vegeta already surpassed the limits on a Super Saiyan in the first two months but he was not satisfied so they carried on training. Krillin bumps into Bulma who delivers him the remote to switch off the Android and then Krillin instructs Bulma to go to Kami's temple to go and deliver them battle clothes. Vegeta and Trunks make their way towards Cell after wearing the gear while Goku and Gohan prepare to go inside for their turn to train. Meanwhile, Cell is destroying islands in a bid to make Android #18 show herself. #19 - The Super Saiyan Who Can Get Angry! Announce Your Name Son Goku! The transformed Goku renews his battle with Frieza and proves to now be far superior to Frieza's power. Frieza launches several counter-attacks at Goku, but they have no effect at all. As the tyrant stares in awe at his more-powerful opponent, he realizes that his worst nightmare has finally come true - the legendary Super Saiyan has been born! In a desperate attempt to defeat Goku, Frieza hurls an attack down upon Namek itself, in an effort to destroy the planet and everyone on it. Trunks unleashes his awesome power and proves stronger than Cell, but it is still not enough to beat Cell. The increased strength is slowing trunks down. Meanwhile Goku and Gohan start training to truely surpass Super Saiyan. Cell continues to destroy islands until he reaches the final one containing Android #16 and Android #18. Just when Cell was charging up his attack, Vegeta arrives along with Trunks. Cell presumes that he will be fighting both Vegeta and Trunks but Vegeta states that Trunks is only a spectator and transforms into Super Vegeta. Meanwhile Goku and Gohan enter the Room of Spirit and Time to start their own training. Gohan has defeated Cell and the world is now safe. 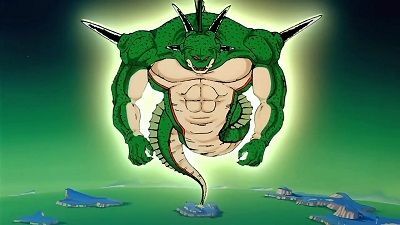 The heroes call upon Shenron to revive those who lost their lives, except Goku doesn’t want to return. In his place, Android 17 and 18 are revived, as humans. 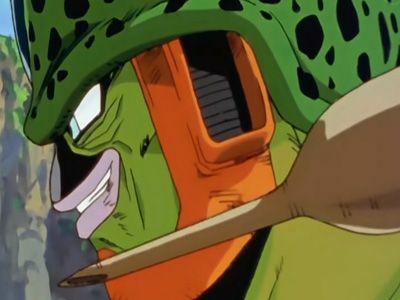 Cell has finally achieved his perfect form! In what Cell calls a warm up, Cell matches Vegeta move for move without effort and quickly overpowers Vegeta. Krillin tells Trunks that he knows his secret. A secret Trunks is keeping for his father's pride. Meanwhile, has Gohan attained Super Saiyan? #24 - Enraged Freeza Draws Near! Porunga... Please Grant Our Wish! Porunga, the Namekian Eternal Dragon, is summoned. However Krillin, Gohan and Dende are met with some bad news when they discover that only one dead friend can be resurrected per wish! 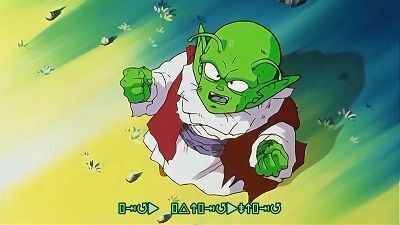 Piccolo communicates with the Earthlings, telling them to revive him and wish him to the Planet Namek. Dende speaks the first wish and Piccolo's halo disappears - and Kami is resurrected on Earth, much to Mr. Popo's joy. The second wish is made, however, Piccolo is nowhere in sight. Dende tells them that they wished him to the Planet Namek and not their specific location, however - so the third wish can be used to transport him to that particular spot. Unfortunately, things take a turn for the worst. Vegeta is awakened by sensing the approaching Frieza's power, and quickly awakens and rushes to where the Earthlings are making their wishes. He threatens them for stealing his chance at immortality, though they accidentally reveal that there is one more wish left - which he would be able to use to get immortality. 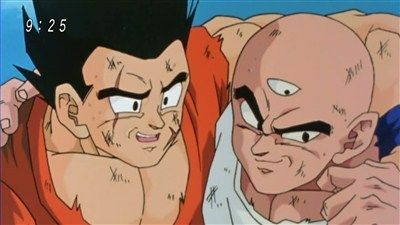 He tells Dende to make him immortal, and with Frieza fast approaching, Krillin reluctantly tells Dende to wish Vegeta immortal - stating that, if nothing else, he is at least better than Frieza. Before he can deliver the wish, however, the Eldest Namek dies, causing the Dragon Balls to stop working. Vegeta is outraged at the Earthlings since his chance for immortality has one again been foiled. His anger at the Earthlings doesn't last, however, since Frieza arrives at the battlefield at that very moment. The tyrant begins charging up, terrifying everyone but Vegeta who seems strangely calm. The entire planet begins to shake violently as Frieza summons his power - as Goku remains in the rejuvenation chamber, slowly still recovering from the injuries his body had taken during the earlier Ginyu conflict. #25 - A Great Turnabout for Goku!? Super Shenlong, Come Out Right Now! After killing Jeice, Vegeta sets his sights on Ginyu (still in Goku's body.) 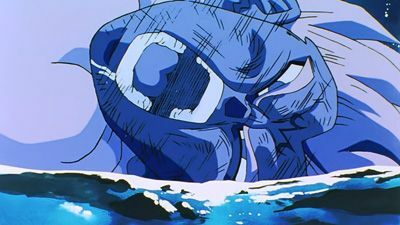 Vegeta effortlessly pummels Ginyu, and an attempt by Ginyu to get Vegeta's body is thwarted by Goku who intervenes - ending up back in his own (wounded) body, and Ginyu going back to the body he had before - which he had deliberately wounded. Vegeta begins thrashing Ginyu in his native body, and once again quick thinking on Goku's part prevents Vegeta from being swapped with Ginyu's body - Goku throws a Namekian frog in the path of the beam, trapping Ginyu in the frog's body. Vegeta places Goku in a rejuvenation chamber inside Frieza's spaceship and gives armor to Krillin and Gohan - knowing an inevitable battle against Frieza is in their future. Vegeta begins sleeping to regain strength he lost while fighting Ginyu. Meanwhile, Nail continues to fight Frieza and does no damage to the tyrant. 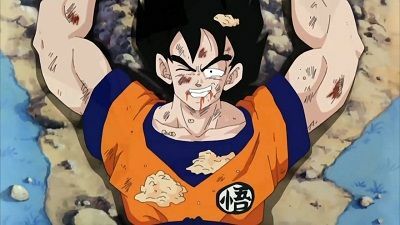 Once beaten and fallen, Nail reveals the truth - the fight was just a diversion to get the password to use the Dragon Balls to the Earthlings! Frieza begins charging back towards his spaceship, noticing his scouter no longer shows the power levels for the Ginyu Force. Krillin, Gohan, and Dende take the Dragon Balls, and Dende uses the password to summmon Porunga, the Namekian Dragon Balls' equivalent of Shenron.